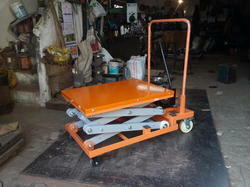 Providing you the best range of hydraulic scissor lift and hydrulic platoform trolley with effective & timely delivery. We also Provide Customized solution. Manual Hand operated Hydraulic PUmp to raise the palatform. 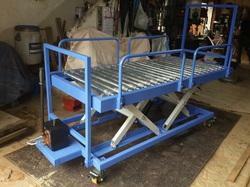 capacity of trolley is 1000kg. Height from base is 285mm with wheel. Lifting height from base is 735mm.